The RCMP project is truly unique in that it is purchased for the parents by the graduates. 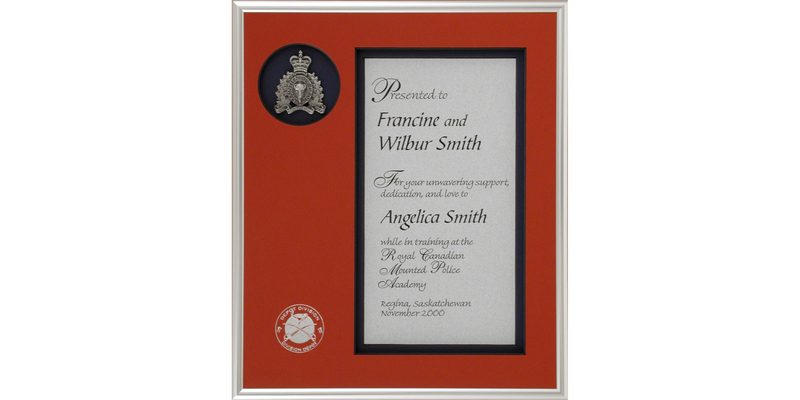 This project is also an example of a frame with a unique “Air Mat” which creates a space in which to mount the RCMP pewter crest and creates a shadow box effect for the document. The Air Mat in this particular project has also been stamped with their logo. Georgian Court College has many volunteers that they wanted to acknowledge and thank. They had considered mugs and sweat shirts but felt that that these products had been overdone and were not personal enough. The College has a unique Garden Court and it was decided to feature this in a photograph. 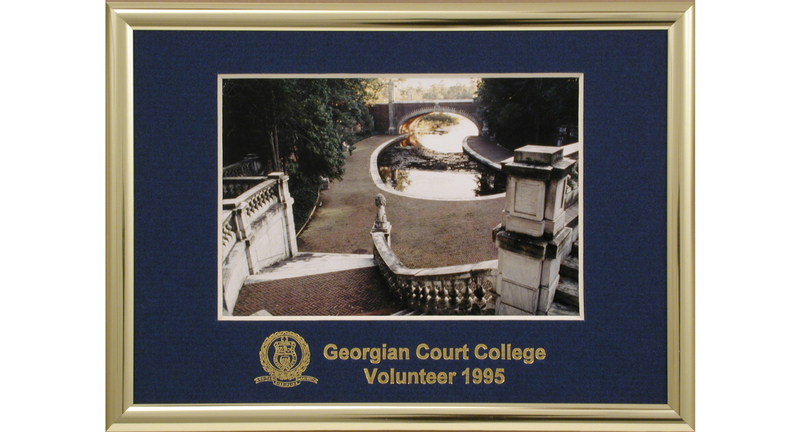 The photo was framed in a Tempo frame embossed with the Georgian Court College name and logo and acknowledging the volunteer year. Generally we do not recommend putting in the year as it incurs a die charge and means you cannot use any leftover inventory in future years.